Here is MY card! This is a shaped card using the Wrapped all Up Imagine cartridge! I cut out 2 butterfly's & put them together using a small brad so the card can swivel open! Here is the inside of my card! 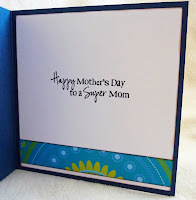 As you can see how the card "Swivels" open! Onto my Design team! Here is Miss Glora's card!!! Isn't is just PERFECT?!!! I think her card came out Very "Classy" looking! 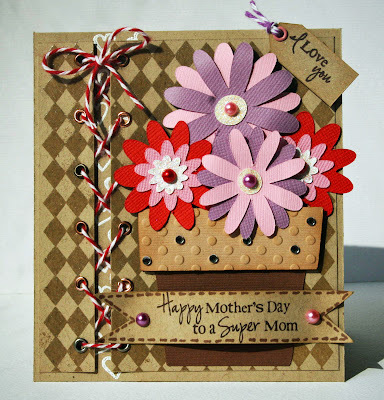 You can see how she created it by visiting her blog HERE! Love all of the projects today...Awesome job ladies!!! I love all the cards! They all turned out so awesome. I can't wait to see more. 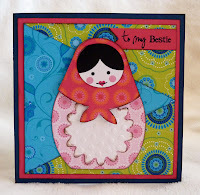 I love your card Emma, as well as all of the DT cards and Ruthie's adorable wall hanging! This DT rocks, like Kate's mom! 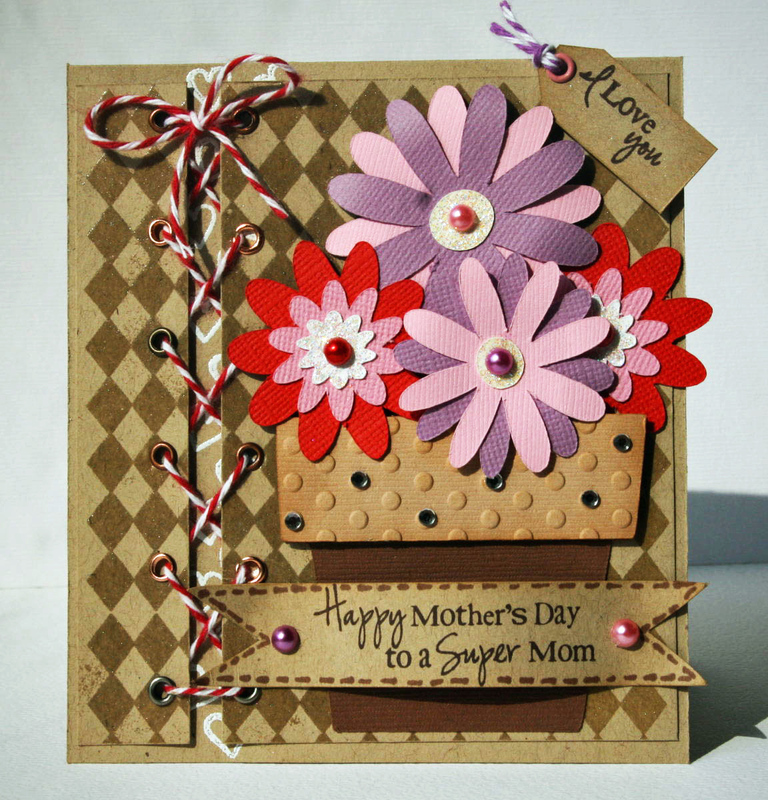 ...and Cindy's flower pot card is GORGEOUS! These are fantastic! Well done! What a great Team Emma ! Emma your card is adorable, all the Designers did awesome jobs on their projects. Congratulations for being chosen. Enjoy. Your card is just Adorable Emma like always. I am so Excited to be part of such an amazing Team. Wow!!! Really pretty projects everyone!!! What super projects!! I LOVE your stamps, Emma!! I love the sentiments and fonts - but I love the quality, too. They are much better than some other brands. No wonder they are so popular!! All of the cards are beautiful! 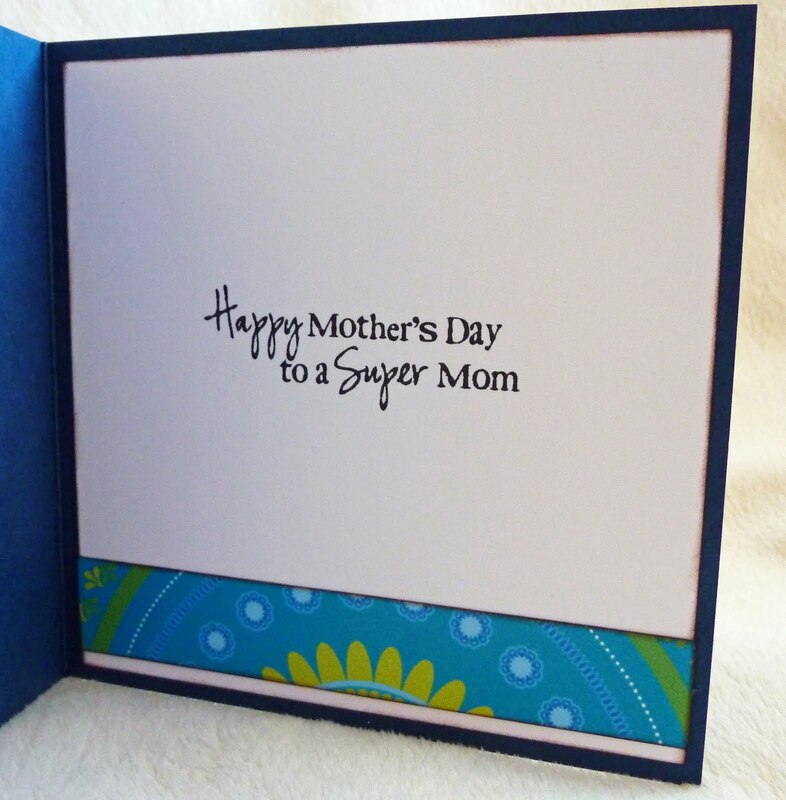 The Design Team rocked the Mother's Day cards. They were wonderful cards and the stamps were perfect. I loved them all. OMG... just GORGEOUS! I LOVE the back ground paper for the butterfly! The colors, the bow and the tags for the sentiment just BEAUTIFUL! Of course I love the satmp you chose too! The design team did a FANTASTIC job too! Hi Emma... been MIA from your blog for a while... work is too crazy so I just played your Youtubes videos to get my mojo back! I love the butterfly card. Your work is always inspiring. Everyone's cards are just Awesome!! I love Your butterfly/swivel card, very cute!! !